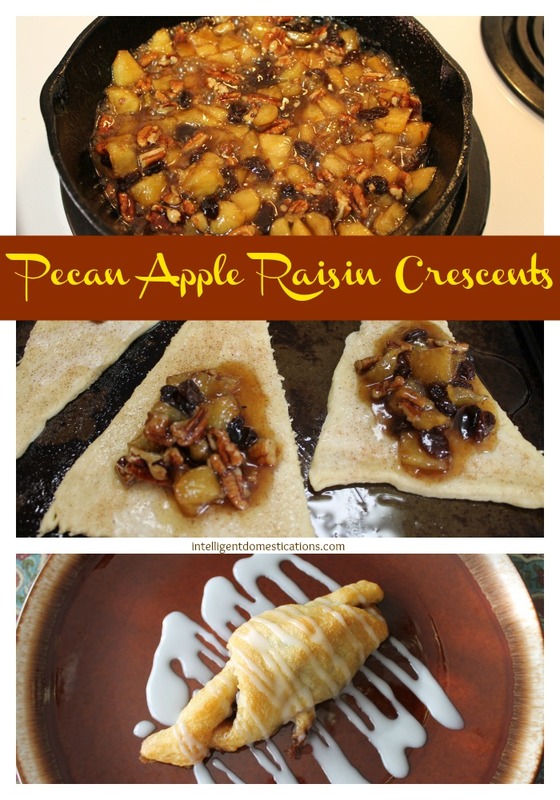 Crescent rolls are so easy to prepare and are especially handy when you want to whip up something tasty like these easy to prepare Pecan Apple Raisin Crescents! 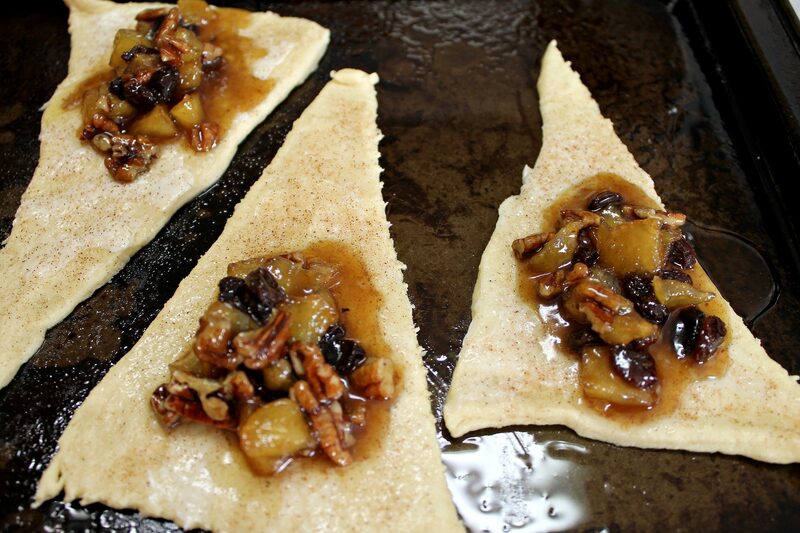 Have you tried my Homemade Crescent Apple Turnovers? You can find that recipe here. I have really been enjoying cooking in my iron skillet recently! I made this recipe in my little iron skillet because I was only using one can of crescent rolls and one apple so the little one works just fine. Roll out the crescent rolls. 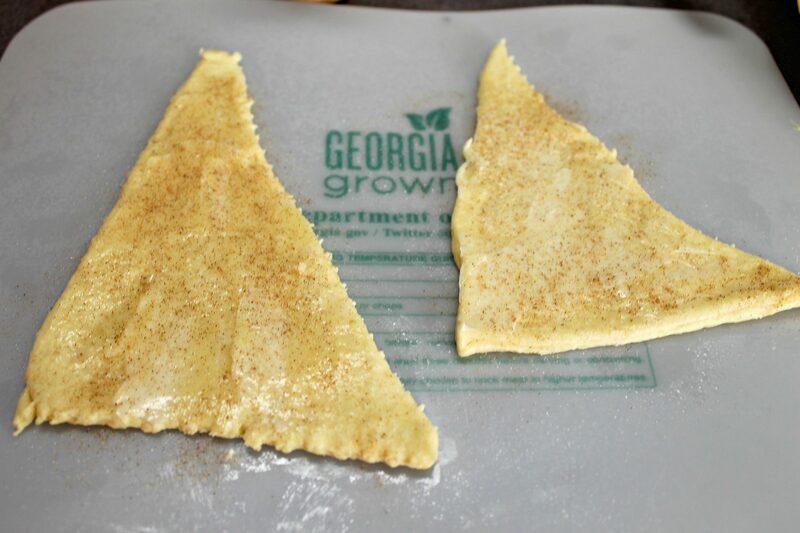 Spread with softened butter and sprinkle with a cinnamon sugar mixture. I picked up my food prep mat at a Farmer’s Market event. That’s why it says Georgia Grown. Love free stuff, don’t you! Georgia is the leading producer of Pecans in the United States! There are huge pecan orchards just right up the road from our home. If you could only smell how good it smells while cooking! Looks scrumptious too, doesn’t it! You really could just eat this in a bowl! Yep, it’s a messy task, you may have to lick y our fingers! Gently roll them up so you don’t lose any of the goodies on the inside! I simply mixed up powdered sugar and milk for the icing to drizzle across. My grandson ate 2 1/2 of these yummy delights! Easy breakfast recipe packed with protein and fiber. Gently roll up and bake at 325° until golden brown, about 12-15 min. Oven temps vary, be sure to check yours often! 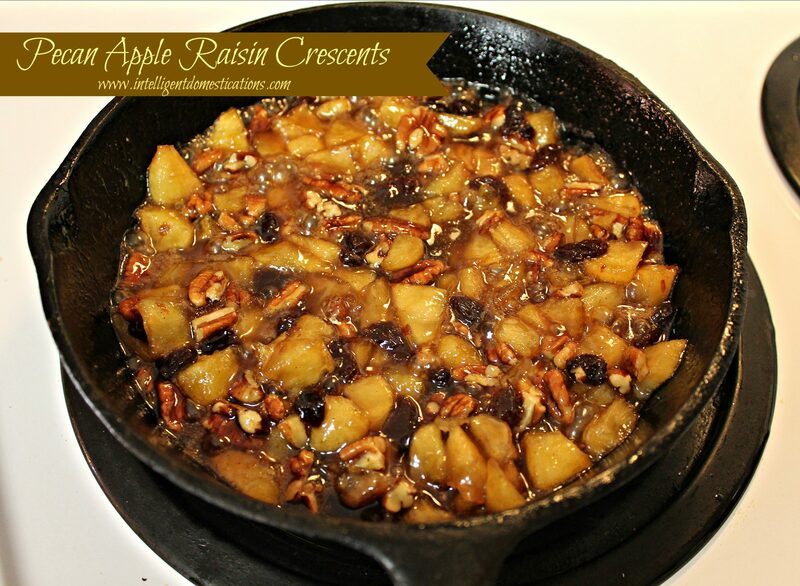 What have you been cooking in your iron skillet lately? Those look fantastic! I want to make those this weekend for breakfast! yummy! I love pecans! I cant wait to try this – super easy and kid friendly for sure. Thank you Winnie. We love them too. In fact, I’m going to make these again tomorrow for my daughter and son-in-law who are visiting. Yum, what a creative use of crescent rolls! My little ones will love these!! 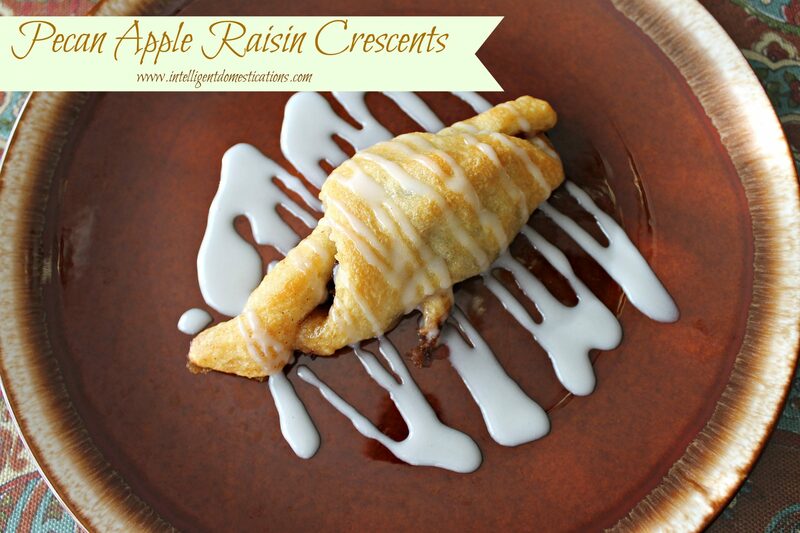 Love crescent roll recipes, especially when they are paired with apples. Yum!! I like to use my tiny cast iron skillets. Oh yes! Now we’re talking. Oddly work has started a bake off, I’m so going to make these to win the first trophy! Nick, by all means, please come back and tell us how the Bake off went! Thanks for stopping by.